This is a day where we chose to stand up and be counted and reach out to those in this land that seek to follow Yeshua and we need your help! 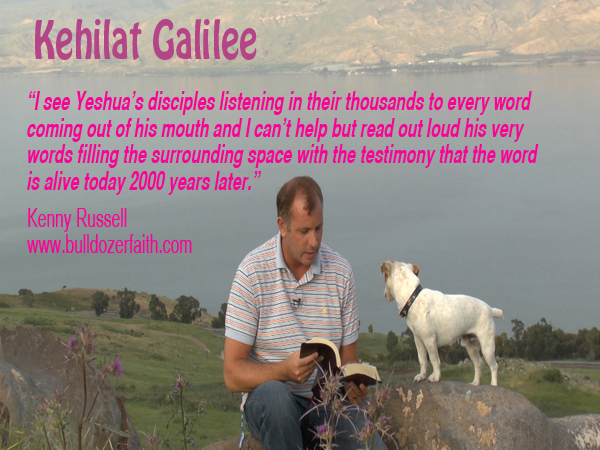 Let Yeshua be heard from the Galilee to the ends of the earth. We are now opening our doors to weekly public ministry to make a stand as a Hebrew roots gathering. I am responding to the call to declare the words of truth not just through media but to build a family of believers in the Galilee region. Will you consider planting a seed to support our ministry as we seek to meet the local needs of believers in Northern Israel. We have to build a financial base so we can purchase the equipment including a sound system and monthly support for our operating expenses. We need more monthly supporters to help us establish a stronger financial base to meet the ministry needs. In everything we do we seek to minister and edify the body of Yeshua and we are committed to reach the masses with the true gospel of the kingdom smashing traditions of man that take people away from the truth as well as sharing YHVH’s heart for the land of Israel. Will you consider standing with us as a monthly partner sowing a seed into good soil here in the land of Israel? Living in Israel for believers in Yeshua is a difficult task and in our ministry approach we will seek to help new immigrant families break through and be established in the land. If you are not in the position to support us monthly will you consider a one-time donation this month as May will be our ministry seed month as we reach out to our friends to stand with us. Thank you in advance for standing with us. Will you be making progress reports given for your project to build a Hebrew Roots Centre in Galilee for those who support/donate to the project? Shalom Fleeta, yes we will be broadcasting reporta as wells as updating our supporters.